Participants training for the Fitbit Miami Marathon and Half Marathon on January 28 share their motivations for running. Here is the second installment of our two-part series. Baptist Health is a sponsor and the official medical provider for the event. When Joyce Silveira (pictured at left with her husband, Marcelo) was rushed to Baptist Hospital in 2009, physicians said her extremely high blood pressure was caused by inactivity, stress and obesity. As she walked and stretched with like-minded people, her stamina and strength increased. Gradually, Ms. Silveira’s weight and blood pressure fell. Today, some 50 pounds lighter than the day of her emergency room visit, she says she feels incredible. With her husband, Marcelo (profiled below), and sons Kevin and Thiago by her side, she has completed numerous runs, including the famed marathons in New York City and Chicago. “We have a lot of adventures,” she said. “One of the most memorable was the Santiago 500 miles in 30 days trip. It had been a goal of ours for a long time and it was amazing.” Also known as “The Way,” the trip has become a popular spiritual and health journey in recent years. The Silveiras began last May in St. Jean Pied-de-Port, France. The course climbs the Pyrenees and spans most of northern Spain. They walked some portions of the trail and ran others. The 500-mile trek ended in Santiago de Compostela, Spain. Busy parents and owners of a pizzeria, Marcelo and Joyce Silveira (pictured at left with their two sons, Kevin and Thiago) watched their weight creep higher with each garlic roll and pie they created ― and consumed. “It’s not easy to stay in shape when you own a restaurant, but it’s no excuse. When I finally took a good look at myself in the mirror, I hardly recognized who I’d become,” Mr. Silveira said. After getting back into running, Mr. Silveira dropped 100 pounds. 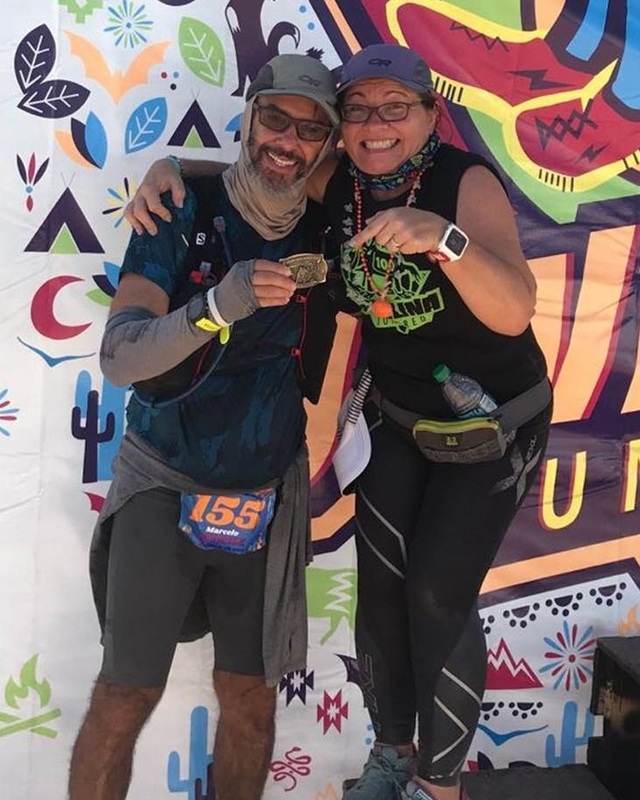 Now, he not only runs full marathons, but has participated in ultra-running events, including the Javelina Jundred 100-Mile Endurance Run through the Arizona desert in 2017. Mr. Silveira recalled his first Teamworks training session with his son, Thiago. “It was awesome, but I couldn’t breathe.” The two began with a slow-paced group that met twice during the week and once on weekends, slowly building their stamina and speed. “We called our group Happy Hour because we ran two minutes and walked one, like a two-for-one happy hour special,” he said. A knee injury forced Mr. Silveira to the sidelines at one point. But when he put on a little weight, he was determined to return. Today, running is a family affair with Mom and Dad often joined by sons Kevin, 26, and Thiago, 25. 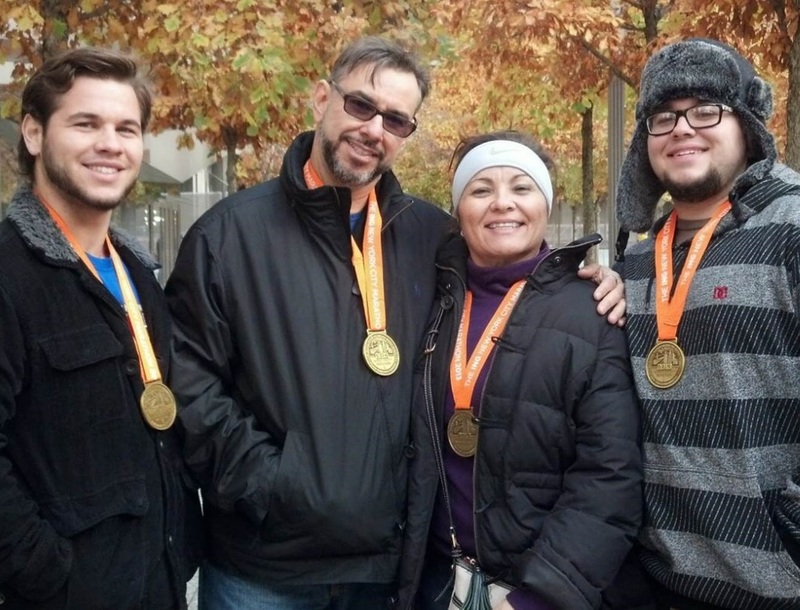 Recently, Kevin’s girlfriend completed her first half-marathon with the family. When Giuliana Wells laced up her sneakers at age 36, a marathon was the furthest thing from her mind. She was neither an athlete nor a runner and worked as an executive assistant at Baptist Outpatient Services, where she spent most of her day at a desk. But a desire to get into better shape and try something new spurred her into joining a running group, and within two months of training with the Footworks team, she found herself signing up for a 5K. “I didn’t really think I was ready. But I surprised myself. I did it,” Ms. Wells said. In the six years since that run, Ms. Wells has completed five full marathons and countless 5Ks and 10Ks. The Fitbit Miami Marathon and Half Marathon this month will be her 15th half marathon. 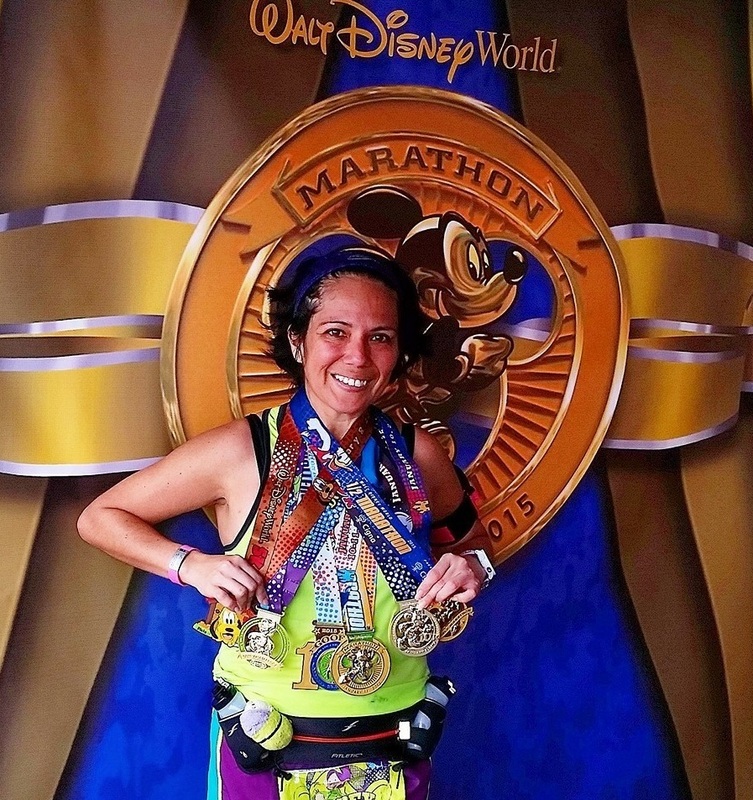 Among her most impressive races was the Dopey Challenge, a 5K, 10K, half marathon and full marathon on consecutive days during the Walt Disney World Marathon in 2015. She’s also participated in Ragnar runs in San Francisco and Miami, where teams of up to 12 people run nearly 200 miles in 24-36 hours. And a memorable run was a spur-of-the-moment 10K in Dublin on St. Patrick’s Day. Today, Ms. Wells runs six days a week, putting in 40 to 60 miles weekly. Running has become a family activity. Since joining her, Jorge, her husband, has lost 60 pounds and recently completed his second full marathon. She said Jorge jokes that he doesn’t really run with his wife. “He always tells people he starts with his wife but spends the rest of the time trying to catch up to me.” Her teenage son, Shawn, also joins them occasionally. She and Jorge even planned their wedding around her running schedule. “I went to work in the morning, we got married at the courthouse during lunch, I went back to work, and then ran with my Footworks group in the evening. That night I passed out on the couch,” she said, laughing. Although she’s dealt with some injuries, Ms. Wells says she has learned proper stretching techniques and sees a sports massage specialist. Also, check out the first part of our Miami Marathon Profiles 2018.